The Conduct of Russian Warfare: Was the Writing on the Wall? 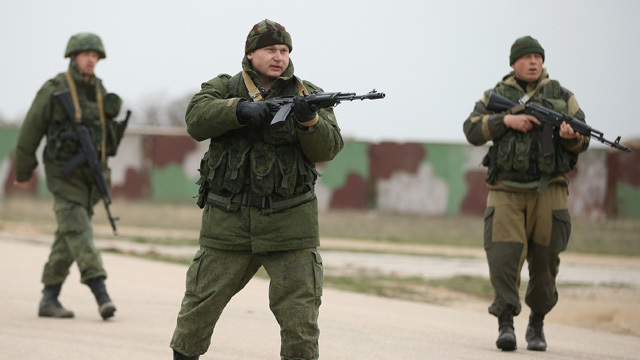 The Russian conduct of operations in Crimea and Eastern did surprise. However, in a way, the writing has been on the wall for a while. When I say the writing, I mean Russian military theorists and when I say the wall I mean out in the open. This is not to say that the Russian intervention should have been predicted, I myself for instance, did not think Russia would take the military option. What I do mean to say is that the way Russia has applied its military and non-military instruments does actually reflect well how their leading theorists have discussed contemporary warfare lately (I’ve written about it here and here, In Swedish). This, for instance, is a few paragraphs from the Military Doctrine adopted in February 2010 with a little commentary. This was even before the Arab Spring and the parliamentary elections in Russia will have big impact on the updated doctrine next year. My comments in italics. The perhaps most surprising aspect of the Russian operations in Eastern Ukraine and Crimea was perhaps how well all means available to Russia has been combined (see below point F). This includes especially the application of non-military means, which we Westerners often see as apart from war, most notably information warfare, food bans, rent-a-mobs etc. At the heart of Russian military theory lies the understanding of Clausewitz, with the aim to impact your opponents will, and Sun Tzu, who holds the best victory in war is the one where you do not need to use military means. The information arena is key to this and Russia has gone on a full frontal information attack with state controlled media, paid trolls and tweeting pictures of Russian soldiers helping the locals in Crimea. The illegal annexation of Crimea went fast. Almost faster than EU/NATO managed to hold a meeting. The key enabler for the successful application of all means is the centralised command and control. There is one entity controlling all the military means – conventional and special forces – and all the non-military ones – including the media and state control over Gazprom. This allows for synergies and swiftness. g) the creation on the warring sides’ territories of a permanent zone of military operations. Permanent does not sound positive. Check again. Destabilising Ukraine. Aiming them to join the Eurasian Economic Union. Providing a buffer zone for Western influence. Ensuring supplies to the Russian military-industrial complex. d) the prior implementation of measures of information warfare in order to achieve political objectives without the utilisation of military force and, subsequently, in the interest of shaping a favourable response from the world community to the utilisation of military force. 14. Military conflicts will be distinguished by speed, selectivity, and a high level of target destruction, rapidity in manoeuvring troops (forces) and firepower, and the utilisation of various mobile groupings of troops (forces). Possession of the strategic initiative, the preservation of sustainable state and military command and control, and the securing of supremacy on land, at sea, and in the air and outer space will become decisive factors in achieving objectives. Spot on. The first time Russia lost the strategic initiative for a while was with MH17 when the Ukrainian army launched a counter-attack and pushed back ‘the separatists’ until Russia entered with conventional units. 16. Nuclear weapons will remain an important factor for preventing the outbreak of nuclear military conflicts and military conflicts involving the use of conventional means of attack (a large-scale war or regional war). …and check again, the factor, in the end, blocking larger Western military support. To conclude, I’d say I’m looking forward to the next doctrine and what it can help us with. This entry was posted in Ryssland and tagged Informationskrigföring, Krigföring, Ukraina by Oscar Jonsson. Bookmark the permalink. An interesting read, looking forward to taking part of your future research. I´d say the russian doctrine reflects, more than anything, an attempt to adept to the current modus of “(non-war”)warfare. That is to say, how to fight a war without declaring one and without it being viewed as one, as for example the initial Vietnam war “police action”. From a russian perspective I suppose the current intervention in eastern Ukraine is no different from what is believed still to be the western way of destabilizing and overthrowing hostile governments: subversion, arming the opposition, the use of covert special forces, etc. In light of the Crimea operations we must however be careful not to overestimate the significance of the events. Did it really fulfuill the criteria of the “new generation”-warfare and the military doctrine, or do we merely want it to be so? What of, for example, the “global networked automated command and control system for troops (forces) and weaponry” in the military doctrine, or the biological weapons and massive use of precision weapons in the 6th generation warfare? I’m actually finishing a longer paper on the Russian conduct of warfare where the ‘non-war’-elements all will be discussed. I’ll keep you posted of course. It is indeed how Russian military theorists argue that the West is conducting their warfare, if this is for a genuine belief of that or a legitimation of their own ways, I’m still undecided. As it comes to generations of warfare, I’m of the view that it did not consist of a new generation warfare and that there’s quite few things that are drastically new (this will also be discussed in the paper). I’m sorry for a short answer, but I hope it will come out soon, stay tuned!